If you decide not to hire movers and to do the move yourself, check out these guides to help you with every step along the way. Before you decide to move, understand all your options so you make the best decision for your particular move and particular budget. So, before we begin to ask ourselves some questions, decide first what your first priority is; money or time or a bit of both. Knowing what is the most important factor will help lead you to a satisfying answer. Decide If You Should Move Yourself or Hire Movers? This is a question that plagues all people on the move. And like most decisions, the answer is different for everyone depending on factors such as time, money, difficulty and complexity of the move. 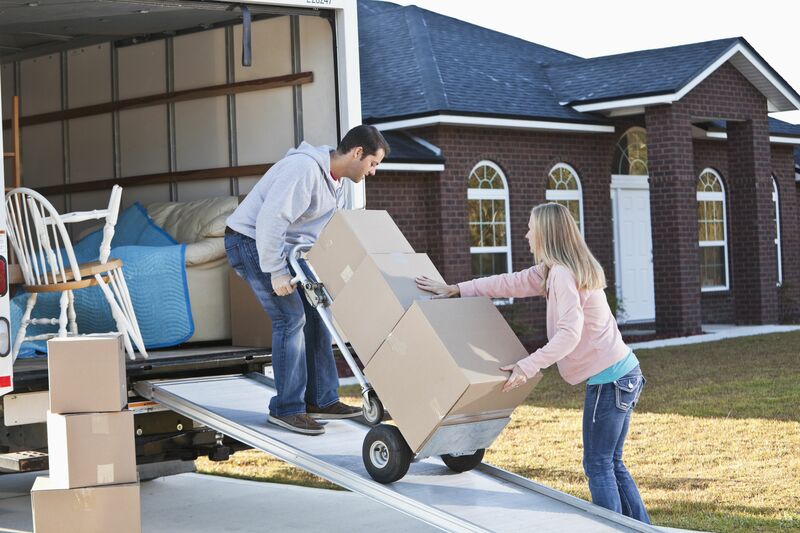 If you're moving across town, a self-move may make more sense than if you're moving across the country. Still, to ensure you're making the best decision, it's a good idea to weigh all options. If you want to save money on your move, but aren't too excited about moving yourself, especially driving that big rental truck over a long distance or through a major city, then self-service moving might just be your best option. The first step in renting a moving truck is to determine how far you're moving and what size of truck you need. Some rental agencies will charge a flat daily rate, including a determined amount of miles, while others will charge an inclusive rate. Know your mileage and size of truck you'll need before you start your research so you can shop around and compare prices. If you're thinking of moving yourself, whether it's across town, across the state or across the country, you'll need to rent a moving van, truck, or trailer, depending on how much stuff you have. Keep these points in mind when you start your research, including size, gas consumption, and booking procedures. If you're moving, you'll need to make sure you have all the tools you need to get the job done. This includes equipment like a dolly to help with heavier items and moving blankets to ensure your furniture arrives without scratches, bumps or bruises. Get the full list. Every household has at least one thing that's hard to move. Maybe it's a sofa that won't squeeze through the door or a big screen television that is not only heavy to lift but is fragile, too. Find out how to move your awkward items with these moving guides. Moving appliances is difficult and you should always consider hiring professionals to move them for you. But if you think you have the right equipment, enough people to help and know how to properly move them without injuries, then you'll need to understand how to prepare them for moving. Use this guide as your resource. Once you've moved into your new home, you'll have to install the appliances that you managed to move to the new space. Installing appliances is not easy and you need to be careful when dealing with water and gas lines. When in doubt, hire a professional. But to get you started, check out this guide.